Kevin Williamson is one of the most famous, influential film and TV writers of the past several decades. From Scream and Dawson’s Creek, to The Faculty and Vampire Diaries, he’s got a knack for playing with genre conventions, and that’s exactly what he’ll attempt to do with his latest pilot. 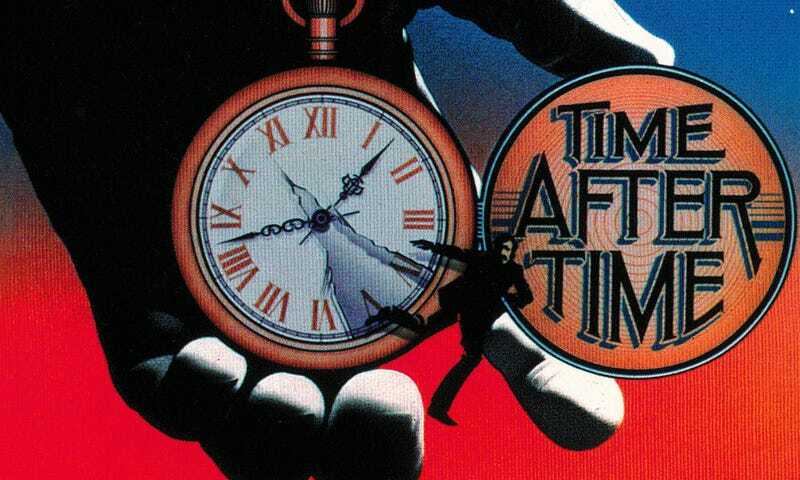 The pilot is called Time After Time, based on the 1979 Kari Alexander book which also became a movie starring Malcolm McDowell. The story centers on Time Machine and War of the Worlds writer H.G. Wells, who in this world not only writes about a time machine, he’s invented one. Most of his friends are skeptical, save for one, who ends up actually being Jack the Ripper. The murderer steals the machine and ends up in modern times, setting up an adventurous, time-travel detective story. Variety reports that ABC has given a pilot order to the show, which “uses that story as a starting point, chronicling the epic adventures of young H.G. Wells and his Time Machine.” I can totally see the book being the basis for season one and then taking the idea of H.G. Wells traveling all through time to different places in subsequent seasons. A very cool idea.